Designer: Are you Looking for Graphic & Web designer - Then Choose Us..
Are you Looking for Graphic & Web designer - Then Choose Us..
Hi All, the New Designing Team here at Warrior, We are the renowned Digital Marketing Agency..
Get - LOGO, BANNER, FLYER, COVER Page, Business Card, Brochure, Website Template Mock-up, Display Ads Design. 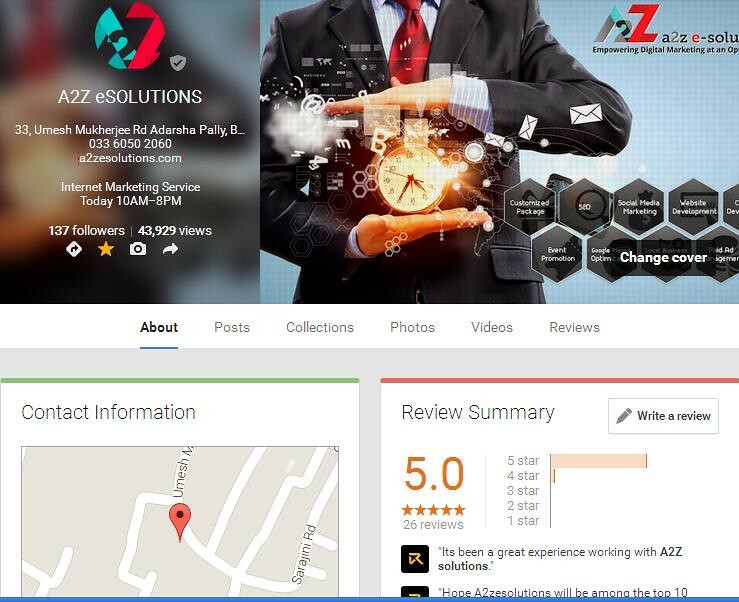 We Provide Three-Four Reviews per design. UI Responsive Website with one-year FREE hosting for $250 ONLY. Please see my Listing and Recognition..
3 Things You Need To Achieve Success! Seeger Consulting Inc.
We provide Content Marketing, Guest Blog Posting, PPC, SEO, Social Media and Website Designing..
Get 5% discount on bulk order. So, what are you waiting for? Last edited on 29th Oct 2018 at 09:28 AM. Reason: Two Video was there so removed one link..
Re: Are you Looking for Graphic & Web designer - Then Choose Us.. I am in process of making a weight loss blog. I originally was thinking of designing it myself reading an ebook but me being a newbie feel like its too much work with all this and I do have my regular job to go to. So I am considering getting it designed professionally. I need wordpress based blog hosted on bluehost. Please quote me your price for design. with Customize WordPress Theme, and plugins.. Please let me know your email so we can talk more about it.. Payment will be Via Paypal or NEFT for Indian. Hire us to give you the best design We do Everything..
Hey Man, I have sent you a PM.. Let me know..
100 % Guaranteed Work with unlimited Revisions..
Do you have sample works? Yes, I do have let me know your skype and Email.. I messaged you on here, please reply. I create medical videos for surgeons. Is it possible for you to create a fitting website based on my requirement, relating to my service? Yea Jonny, I went with another provider. Yes sure, why not, Could you please email me at Jonnypean @ gmail . com with all details. Yes, let me know if you need any assistance.. I hired Jonny and team last year to do my website, I got a great package for the design and half a year of follow up work- they really do a great job and know what they're doing. He's very active on skype and any questions or revisions they're on top of it. My business was being designed from the ground-up (still is), so it was a waiting game with so many pieces of the puzzle (didn't know exactly what I'd want/need on the website), but Jonny was patient and worked with me every step of the way. I'd definitely recommend. Good service.